In 2012 nearly 50 million people in the United States lived in households that struggled to put enough food on the table. 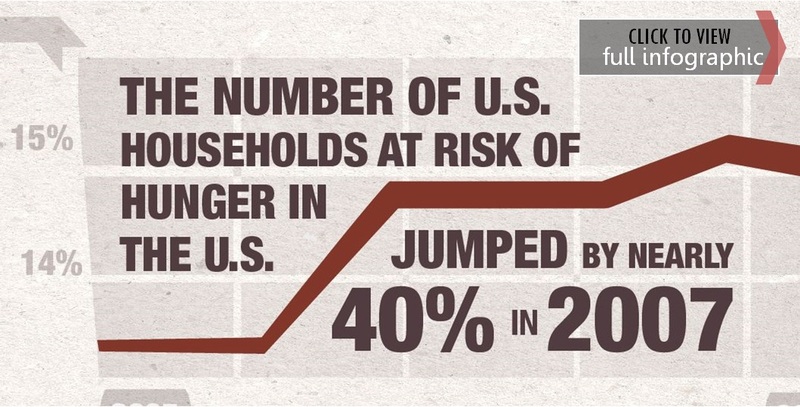 The number of people stalked by hunger in the United States has soared since the Great Recession. Every year since the turn of the millennium, at least 20 million Americans (one in 6) have been worried about running out of food. 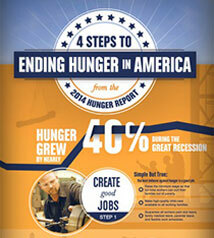 Hunger is a tragedy with high costs for families and our national economy. 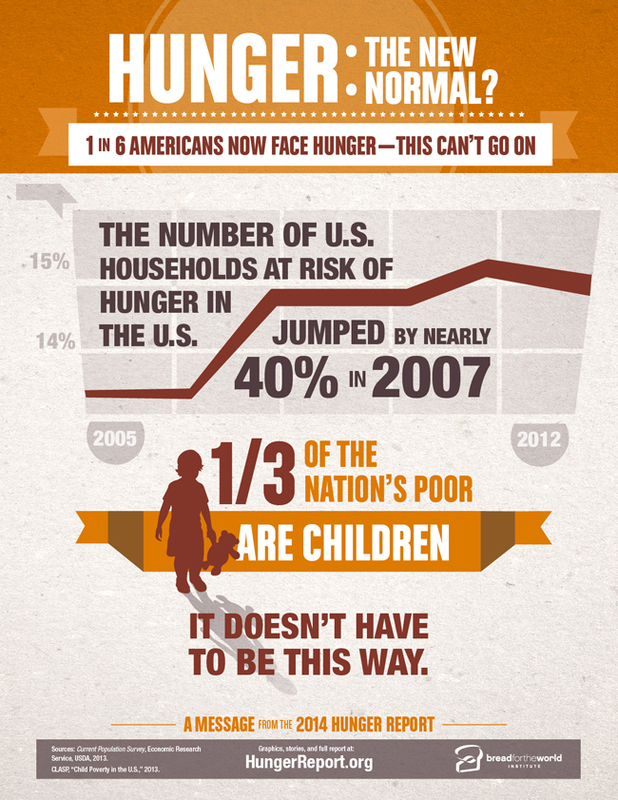 It’s time to admit to the new normal of hunger in America and get serious about changing it. About half of all U.S. children will at some point live in a household that receives SNAP (food stamps). In 2011, the estimated total cost of hunger to the country was estimated at $167.5 billion. One in three families with an adult unable to work because of a disability worries about running out of food each month. No items found in feed URL: http://feeds.feedburner.com/bread/institutenotes. You requested 2 items. No items found in feed URL: http://www.bread.org/system/rss/channel.jsp?feedID=141713690. You requested 2 items.